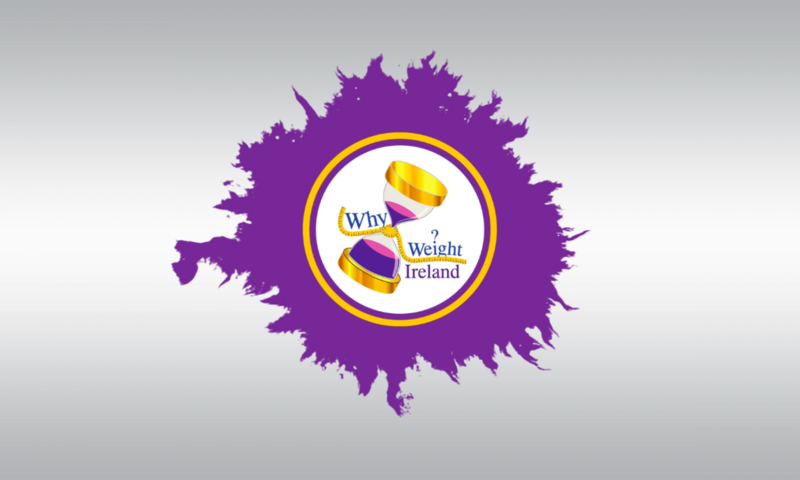 Why Join Why Weight Ireland & What Makes Us Different? 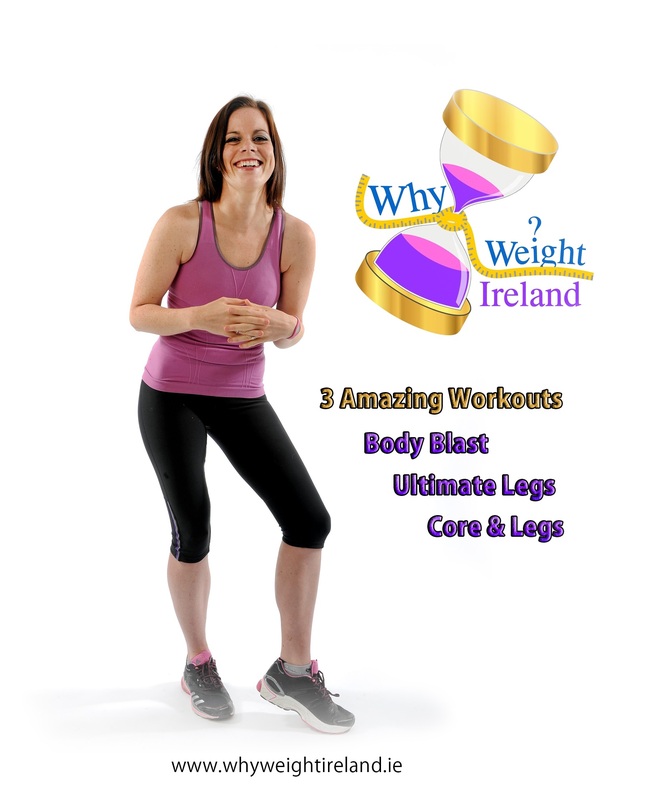 Why join Why Weight Ireland™ & What Makes Us Different? If you haven’t heard of us already, we are a unique and multi award winning online weight loss and fitness business. We launched in 2012 and now have members across the whole of Ireland, the UK, France, Spain, Switzerland, and Greece and even as far as the Cayman Islands, Australia, Canada and America. Our members receive access to Ireland’s only fully comprehensive online food & exercise dairy, great calorie burning online fitness workouts, personal & tailored fitness plans and most importantly, each and every member receives personal email support 7 days a week, when they need it. With the obesity epidemic in Ireland out of control, 2 out of 3 adults on the island of Ireland are now overweight, of which, only 40% of adults now classify themselves as being overweight. This indicates that thousands of men and women are still failing to recognize that they themselves are overweight, and are putting their own health at increased risk of Type 2 diabetes, heart disease and some cancers. I was made redundant in 2011 and it was around this time that I reached my goal weight of 8 1/2 stone. During the previous years I had gotten married, had two children, moved house. My weight gradually built up over the years and when I was just over 16 stone I saw a photo of myself holding my son and I was so shocked; my skin was grey and I just looked ill!! I said enough was enough and decided to do something about my weight. I tried every diet and bought every gadget on the market to help me lose weight. Most things would work for the first couple of weeks but then either I’d be nearly ill from eating nothing or my weight would start to go back on. When we moved from Dublin to Tinahely, South Wicklow there were no fitness classes or meetings near enough for me to attend with 2 small children at home so I couldn’t get any advise or help from anyone. I had to do it alone. A friend of mine suggested I keep a food diary to track what I was eating. I did this and started to write down everything I was eating and drinking. I was soon able to see patterns in my eating and soon my weight began to come down. I was still able to eat the foods I enjoyed…just in smaller portions. I had also never exercised in my life so I began to go walking (previously, trying to put the kids buggy into the car boot made me out of breath). I started adding a few more minutes each time I went out for a walk. After a while I started to shuffle from electricity post to electricity post; and again, each time I went out I tried jogging to the second post instead of the first and before I knew it was entering my first race. Since that first day running, I have come fourth in a Full Marathon, won the Wicklow Novice & Intermediate Cross Country Championships, Wicklow Senior Road Race Championships and various other races around Leinster. My goal is to get closer to that sub 3 hr. marathon and I will be taking on the Nottingham Marathon shortly and then I will be running Dublin City Marathon at the end of October. While I got closer and closer to my goal weight the more and more I researched how to start my own business, as finding a job was seemingly impossible at the time. I was constantly being asked how I had lost my weight and people were asking for me to help them. It was at this time I decided to retrain in Fitness & Nutrition while I setup the business. I wanted my business to be everything that was real to life. Its not real life to be drinking shakes 3 times a day. Its not real life to starve yourself every day to lose weight and its not real life to live off meal replacements or even off a set food plan. They just aren’t sustainable. My business had to be different to everything that was available and with that thought, Why Weight Ireland™ was born. I managed to sort out the business and paperwork side of things pretty quickly, contacted the companies I needed to help me get my ideas onto a computer and before I knew it Why Weight Ireland™ were taking memberships and helping people lose weight and get fit. Why Weight Ireland offers people a real life online food & exercise diary, online fitness videos that people can do from home or even from their mobile devices, personal & tailored fitness plans and of course the important one…Support, and not just sending an email to an email address and receiving a reply in a week or so, every email is replied to personally and as soon as possible. I know how hard it is to lose weight and sometimes you are just wanting to off load or get someone to say, “everything will be okay, keep going”, and waiting a few days or even a week for a reply can mean the difference between success and failure. At Why Weight Ireland, all emails are responded to as soon as possible and personally – NOT from a machine or an automated response. 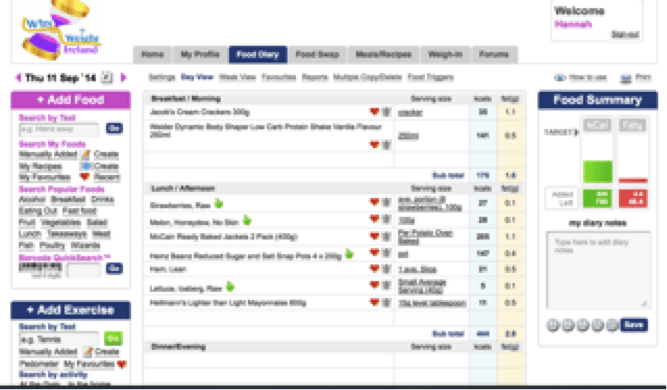 Using our food and exercise diary will quickly become second nature for you. Members enter their food i.e. Kellogg’s Corn Flakes into the search bar in their diary and the picture of the Corn Flakes comes up and you can add how much you had into your diary. The diary itself collates all your personal details i.e. age, height, weight, activity levels to produce a healthy and safe weight loss calorie allowance for each person. It also gives you an exercise allowance to burn each day as well as the max fat allowance you should have. The diary is setup to lose a MAX of 2lbs per week and you can choose from .5, 1,1.5 or 2lbs per week. This is the recommended safe weight loss amount to lose per week. The diary also works out how many calories you need to burn each day to hit your weight loss goal each week. Again, just like the food, you just type in the exercise you did and the exercise will come up – you add it in and how many minutes you did and the diary works out how many calories you burnt during your workout – These calories burnt are based on YOUR personal details and are not generic. Here is a snapshot of the main diary for a member. The diary itself has over 500 various recipes that people can use if they get stuck for ideas. There is a food swap section that offers healthy food alternatives to what you have eaten, it has a food trigger section, so if you have just eaten a Mars bar because you are sad you can mark it as an emotional food trigger and the diary will give you a full report on how to prevent you from picking up that Mars bar next time you get emotional. It has a full weigh-in section with graphs for weight and most importantly, your body measurements. With the success of the online business I was receiving a lot of enquiries from people looking to do private weigh-ins. With this in mind, I decided to open my first fitness studio here in Unit 2 Riverside Business Centre, Tinahely, Co. Wicklow. I offer various fitness classes for both adults & children. I offer free private weigh-ins and consultations for members of the diary and charge a minimal fee of €5 for non-members. (Far less than the hundreds some businesses charge for this service). This year I began a Why Weight Running Club from my studio. I don’t charge for the running club as I try to make it all about the community. I get a regular attendance of about 40 members each week and have people of all fitness levels. I have had numerous people start with me saying that were too old to run or can’t run and all are now running races each week for fun. It is lovely seeing a community become fit and have a more active life. I am very passionate about what I do and I believe in what Why Weight Ireland stands for. I believe it is the best service available and our member’s results prove it. My overall goal is to help people change their perception of weight loss and exercise, help them believe that it can be done and show them how to do it.